As readers probably know, I have no problems taking on the current issues in the sangha. But in doing so, especially over the long term, it can seem like my viewpoint is focusing on the negative. This is not representative of who and what I am. I think the bad parts only amounts to a very small part of what the devotees actually produce. Devotees are amazing artists. They are expert at publishing books, music, art, raising money and construct temples. 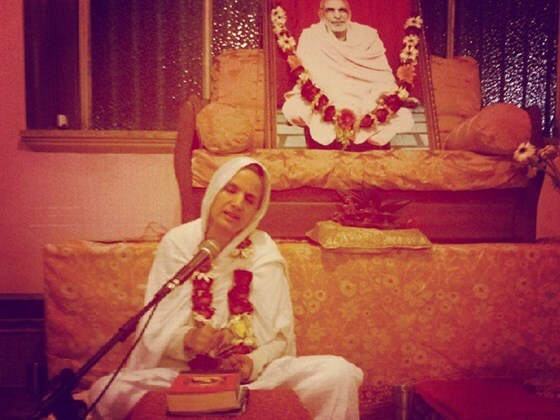 What are devotees not able to do? I think devotees are artists of life. Life is their art. Devotional life creates artists of each and every person and it comes out beautifully different in each case. This time I want to write about Caru Candrika didi. She was unfortunately in a very serious accident during Kartik in Vrindavin. I’m lousy at writing emotional stuff, so all I can say is that I’m so, so sorry this happened. What I really want to put the light on is the fund raiser that is being held for her medical expenses. The devotees have really shown up and donated a lot of money for her, and much more is needed. On the page of the fund reader they are excellent at updating us on her condition. Caru didis path of art have been as a travelling preacher in the sanga for years. She has no job and her living is payed for by donations – which probably barely covers her expenses if even that. It’s wonderful how the sanga takes care of Caru didi and their devotees in times of crisis. There’s also been links to a well written article Caru didi had in “Rays of the Harmonist” where she outlines what Gurudeva gave to the devotee community. Let’s pray for a speedy recovery, and if you have the means, please donate. This entry was posted in Current affairs by Haridasi. Bookmark the permalink.